You’ve found the perfect new house or condo, and you are now preparing an offer that you believe the seller will find tempting enough to accept. However, you know that there are going to be thousands of dollars in closing costs that need to be paid before the sale is completed and you become the home’s new owner. The question is, should you ask the seller to pay some or all of the closing costs? In today’s blog post we’ll address this question and list a few scenarios in which you may want to consider having the seller pick up the tab. Are you ready to sign on the dotted line today? 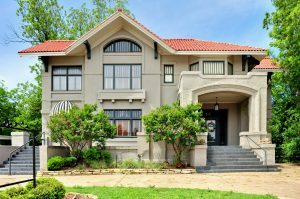 If you’re sure that this is the right home for you, let the seller know that as long as they’re willing to assist with the closing costs and accept your bid that you’ll start the closing process today. Nearly all sellers will be willing to make a small sacrifice to get the deal done. As you can see, there are a number of situations in which it makes sense to ask the seller to shoulder some of the closing costs. If you have found a home that you wish to purchase and you’d like advice on how to proceed, contact a real estate agent today. An experience real estate professional can help you craft an offer that the seller won’t be able to refuse. This entry was posted in Home Buyer Tips and tagged Buying a Home, Home Buyer Tips, Negotations by BJ Kirkpatrick. Bookmark the permalink.